Home » NHCC » Gaughan, O’Brien, Fischer, Souhegan (G) Qualify for Nationals! Gaughan, O’Brien, Fischer, Souhegan (G) Qualify for Nationals! 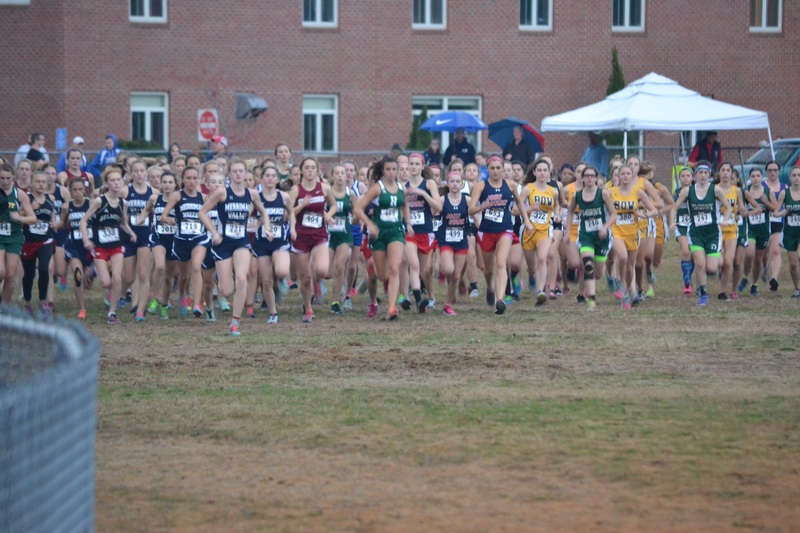 A hearty congratulations to Exeter’s Jackie Gaughan, Oyster River’s Patrick O’Brien, Bishop Guertin’s Caroline Fischer and the Souhegan Girls on their qualifying for Nationals. With Gaughan and O’Brien qualifying for Footlocker Nationals in San Diego, California on December 10th, as well as Fischer and Souhegan heading to Nike Cross Nationals in Portland, Oregon this coming Saturday, December 3rd, New Hampshire flexed their small state muscle at both Northeast Regionals. 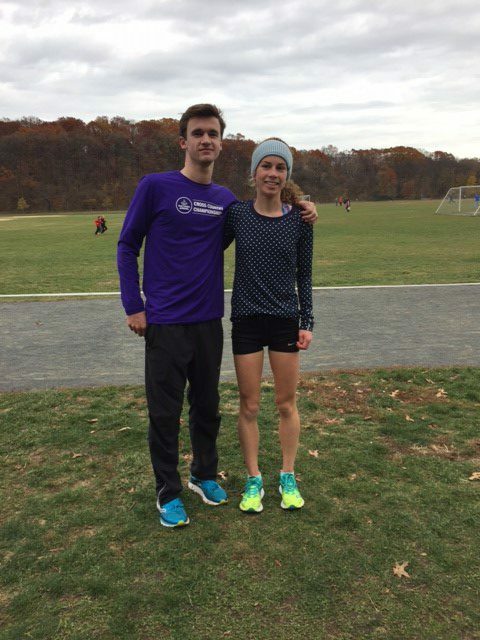 According to our poll, NH voted Jackie Gaughan as most likely to make one of the 2 national meets and did she deliver in typical Gaughan fashion by attacking the middle mile over the back woods of Van Cortlandt, America’s most historical cross country course. ‘Vanny’ seems to be tailor made for Gaughan as that particular portion features rolling hills through winding trails. Gaughan dropped the hammer here and held on to place 2nd in 17:55 over Maryland’s Maria Coffin’s 17:59. New Jersey’s Alyssa Aldridge, also a junior, won in 17:40. O’Brien demonstrated similar discipline of running his own style of race and detonating a strong last 800 improving from 5th to 3rd (almost stealing 2nd) in 15:37 to punch his own ticket to San Diego. The Affolder family of Pennsylvania must of had the dream car ride home as brothers Noah and Samuel placed 1st and 2nd in 15:28 and 15:36 respectively. Based on the strength of O’Brien’s final mile, his chances to have yet another strong performance at nationals seem very good. NH further demonstrated its small engine horse power as Bedford’s Leya Salis (16th, 18:47), Oyster River’s Danielle Slavin (19th, 18:49) and Merrimack Valley’s Kristie Schoffield (26th, 19:00) made All-Northeast teams. Photos! Courtesy of Julie O’Brien – Thanks! 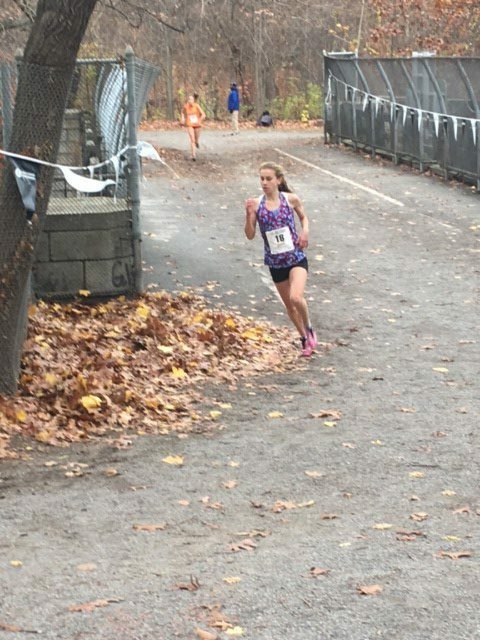 A scant 4 points separated the 2nd and 3rd place teams at the Nike Northeast Regionals at the rollercoaster that is Bowdoin Park in Wappingers Falls, NY. Why is this important? Well, only the top 2 teams automatically qualify for Nike Cross Nationals. Fortunately, New Hampshire’s Souhegan was the team to finish as the victor of that battle as they employed a nationals-caliber-last-mile-push to overtake New England Champion Champlain Valley, Vt and become only the 3rd NH school (Coe-Brown and Hanover) in history to qualify for Nike Cross Nationals. On the banks of the Hudson River, Bowdoin Park is regarded as one of the toughest courses in America as it winds its way up hill a series of hills to the apex of the course at the halfway point of the 5k, only to basically back track back down to the finish. Individually, right from the gun, NH had 2 in the top 5 as Bishop Guertin’s fab frosh Caroline Fischer and West’s super soph Julia Robitaille mixed it up with the best of the Northeast. Both ran superbly strong, fast, clutch races throughout to both place in the top 7. Fischer ended up 3rd in 18:38, just four seconds behind Anna Juul on Unionville, PA and repeat champion Aislinn Devlin (18:09) also of PA. Although not qualifying (top 6 finishers were from non-qualfying teams), Robitaille’s performance (7th, 18:46) should not be overlooked! She also ran a relentless race, and only a sophomore, will certainly be back! Remember, Souhegan competed last year, didn’t qualify, and will be on a plane this week to Oregon! Awesome stuff. Congrats to all 603 competitors! Previous post 2016 Northeast Regionals: What to Watch For? ?